Frolicking around the neighborhood while sporting festive costumes is just part of the fun — you can’t have Halloween without candy. Everyone who’s ever trick-or-treated knows that the best part was always scurrying home at the end of the night to assess your new stash. You’d peer inside your plastic jack-o’-lantern — or if you were smart, your pillowcase— and rove over the chocolates, gummies, lollipops, and other treats you’d acquired, eyes aglow. Then, you’d eat one too many sugary sweets and wonder why you couldn’t fall asleep. Now that you’re an adult, you can understand why you were having such a hard time shaking off those Halloween jitters — candy is loaded with sugar. Some also hide chemicals, artificial colorings, trans-fats, and ingredients that barely pass for food. Seriously, those plastic-like chews and gummies? Not natural. There are a few candies, though, that you can feel a bit better about. They’re less processed, more nutritious, and contain less sugar than some of the other candies. 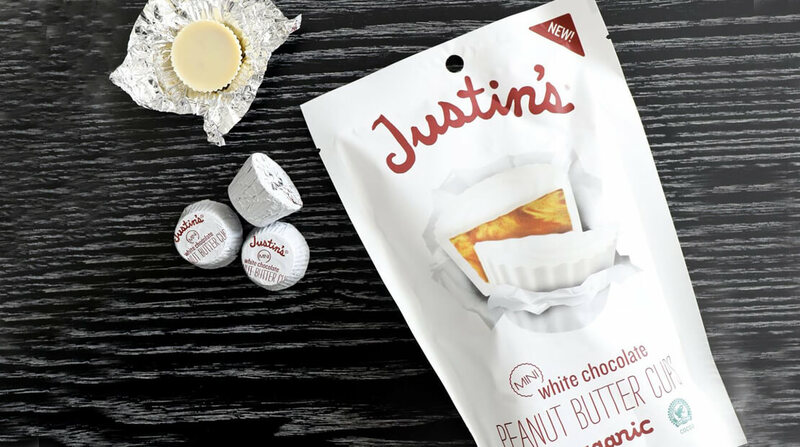 This peanut butter company makes mini peanut butter cups that give Reese’s Miniatures a run for their money. All the ingredients are organic, and the brand uses a substantial amount of real peanuts in the creamy, nutty center. They come in milk and dark chocolate varieties.